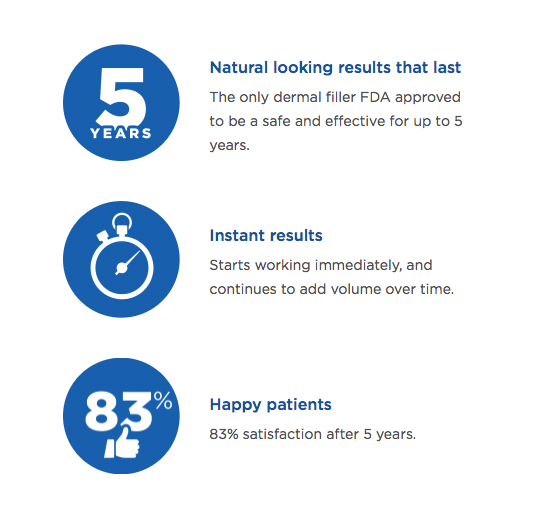 In a clinical trial, Bellafill® was shown to work equally well on both male and female patients with a variety of skin types.12 If you have a history of severe allergies, have a known allergy to bovine collagen, are allergic to lidocaine, have a bleeding disorder, or are prone to thick or excessive scar formation, let your doctor know prior to your treatment. To be eligible for Bellafill®, patients must be 21 or older and receive the required skin test prior to treatment. In clinical studies, Bellafill® was shown to work in both men and women with a variety of skin types. If you have a history of severe allergies, are allergic to bovine collagen, are allergic to lidocaine, have a bleeding disorder, or are prone to irregular scarring, let your doctor know prior to your treatment. The cost of Bellafill® varies depending on how many syringes your Dr. Kaweski recommends. For more information on Bellafill, contact our office in the San Diego area at (619) 464-9876.